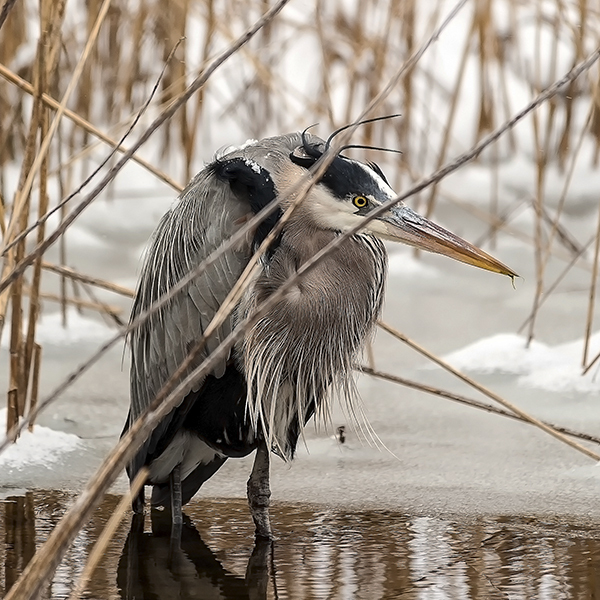 While out shooting snow scenes yesterday I stumbled upon this Great Blue Heron that was not enjoying the day at all. 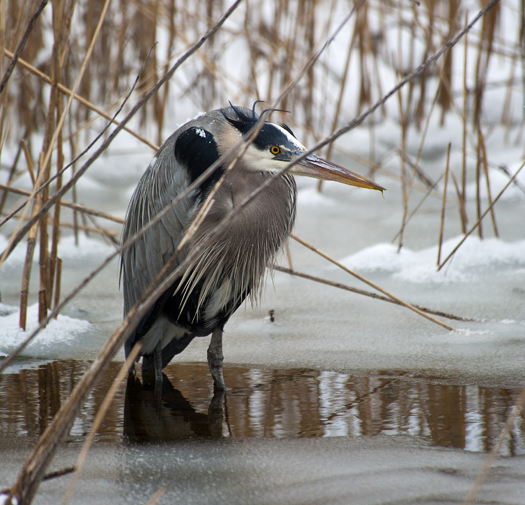 What with snow accumulating on its shoulder and back and standing in knee deep icy water hoping that the thin brown reeds afforded adequate cover to allow for a quiet afternoon. Hunkered down and waiting it out, it had the human look of ‘come on, enough is enough’ or at least that’s the way I read its expression. 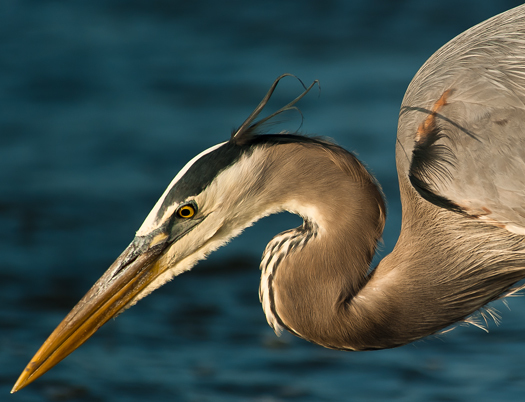 Looking back over summer photographs in a longing kind of way, I found this Great Blue Heron enjoying the warm water of an August marsh pool. 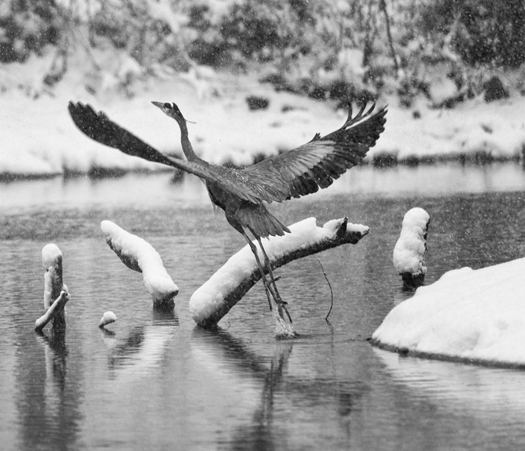 I’m looking forward to the explosion of plants and animals that spring will deliver and photographing it all with far fewer clothes on. 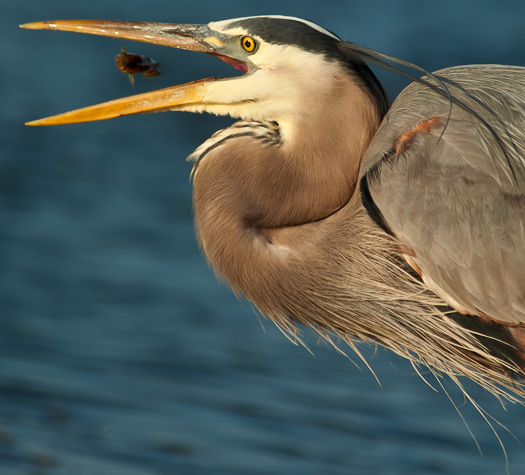 The marshes in Delaware have come alive with fishers. 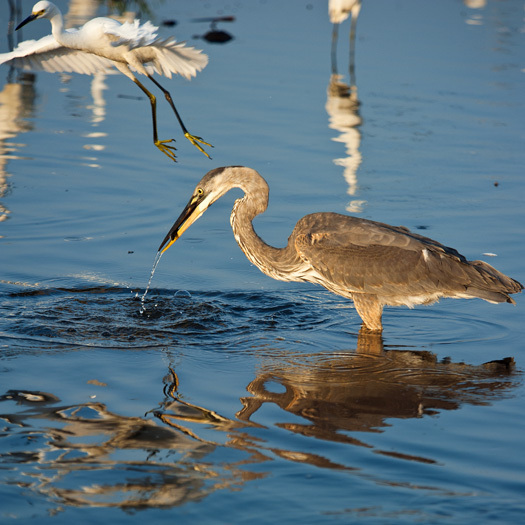 This GBH stares intently into the water searching for the next bite. 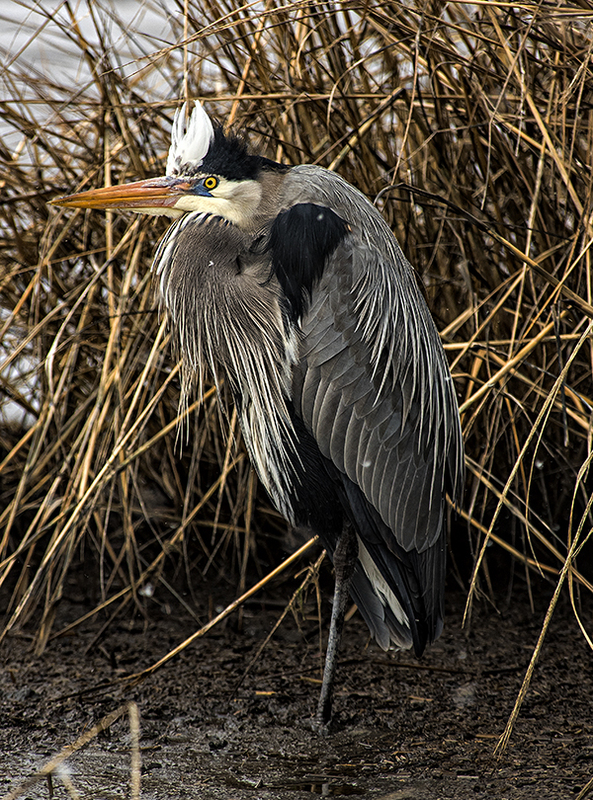 I went out to Bombay Hook National Wildlife Refuge after work tonight. I had a pretty good evening and have several photographs to post over the next few days. 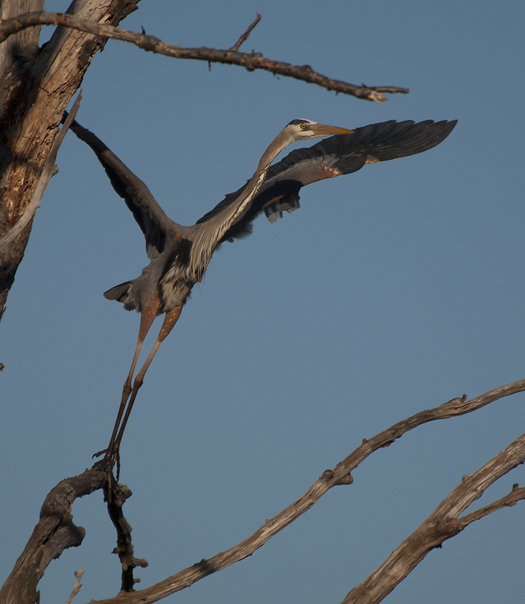 This Great Blue Heron was stretching out to take off from its perch high in a tree. 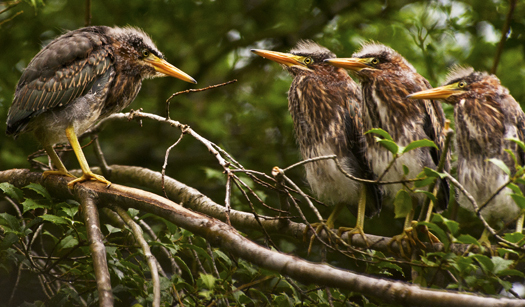 Nice drumsticks! 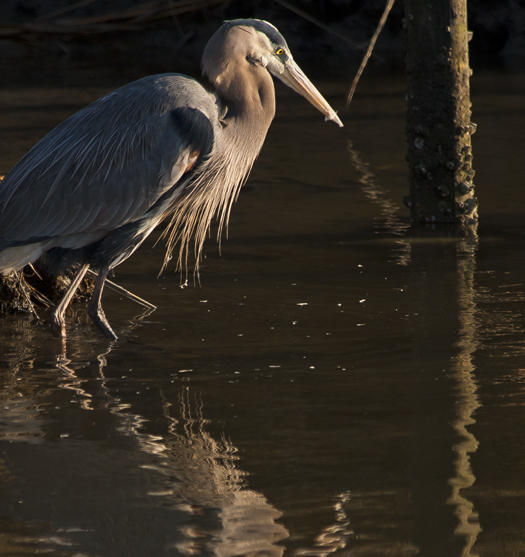 I was out of town all week but returned to some beautiful late afternoon sun lighting up a hunting Great Blue Heron.